It’s another fun-filled episode of our Homebrew Happy Hour podcast! 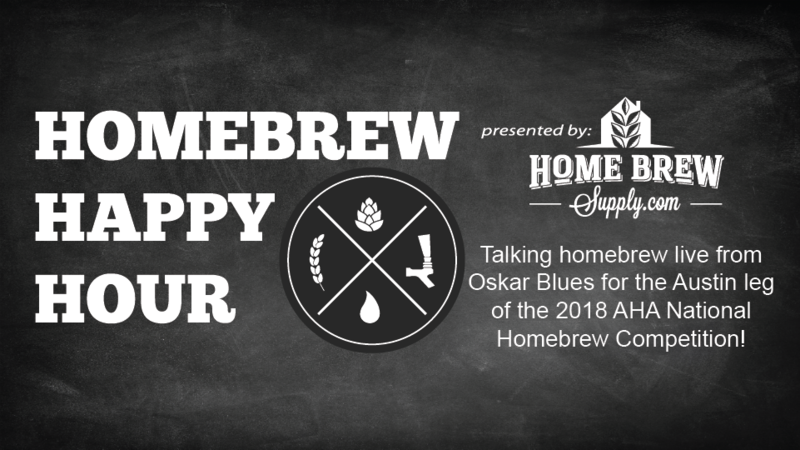 This week was recorded LIVE from the taproom at Oskar Blues Brewery in Austin, TX as part of the Austin leg of the AHA’s National Homebrew Competition. We had an absolute BLAST hanging out and taking your questions on homebrew competitions, our favorite and least favorite styles, and much more.